How do you stay so strong when you have so much you have been through? 1. I PRAY ALL THE TIME! & I DON’T HESITATE 2 TELL THE LORD IF I’M AT MY BREAKING POINT, EITHER…BUT I DON’T JUST LAY MY TROUBLES IN HIS LAP & LEAVE! I ASK 4 HELP, & SOMEHOW THE LOAD IS EITHER LIGHTENED, OR I GET STRONGER! B4 MY PBA MEDS, I ALWAYS PRAYED 2 BE STRONG ENOUGH, & CONTROL MY PBA WHEN I FACED SOMETHING EMOTIONAL! SOMEHOW, I GOT STRONGER EVERYTIME! 3. MK HAS HELPED CHANGE MY PERSPECTATIVE…WHEN I 1ST HAD MY STROKE, I GOT DEPRESSED A LOT, & WONDERED, “WHY ME?” WISH I COULD SAY THAT I NEVER WENT THROUGH IT, OR THAT I QUICKLY CHANGED, BUT I CAN’T! IT TOOK MEE YEARS, BUT NOW IF I’M FACED W/SOMETHING THAT COULD TURN SOUR, I TRY 2 SEE THE GOOD. 1 EX., WHEN I GET A RUN IN MY STOCKING, I THINK ABOUT HOW GREAT IT IS THAT I CAN JUST TURN MY NYLONS SO THE RUN ISN’T SEEN WHEN I WEAR IT! 5. I TRULY BELIEVE THAT THIS LIFE IS “JUST A MOMENT,” THAT I AM A DAUGHTER OF GOD, & THAT GOD LOVES ME, KNOWS MY HEART, & WILL HELP, IF I JUST ASK. 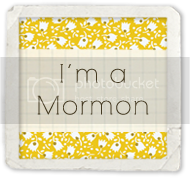 I HAVE SEEN HOW MY BELIEFS HAVE HELPED ME, & MY FAMILY, & I AM GRATEFUL FOR MY RELIGION (THE CHURCH OF JESUS CHRIST OF LATTER-DAY SAINTS/LDS/MORMONISM), & 4 JESUS CHRIST’S EXAMPLE DURING TRIALS. REALIZE THAT I TRY 2 WRITE ON MY BLOG ON MY BETTER DAYS! I GET DOWN TOO, & HAVE PITY PARTIES. IT’S ONLY NATURAL, & IS ESSENTIAL IN ORDER 2 BE A BETTER PERSON! REMEMBERTHAT U’LL NEVER WORK ON IMPROVING YOURSELF, IF U DON’T THINK U NEED 2 IMPROVE!